In the 6th episode of season 6 Bob hosts a dinner party hoping to impress potential new friend, Steve. Linda’s sister Gayle and her new boyfriend are also supposed to attend. Earlier that day Louise has a run in with Mr. Frond, the school guidance counsellor, after using her grabber to harass her teacher, Ms. LaBonz. 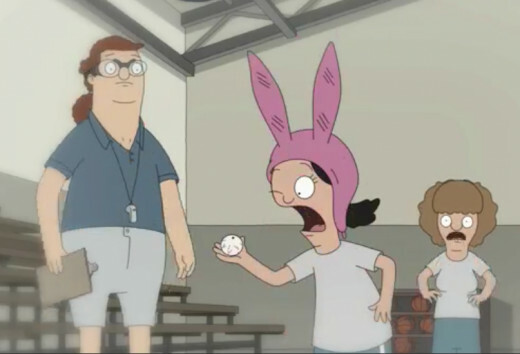 Mr. Frond lectures her about two previous incidents in which Louise got in trouble that same week, and then proceeds to confiscate her grabber. That evening Gayle arrives first, followed by Steve who has brought his kleptomaniac son Zander, who proceeds to hit on Tina throughout the course of the evening. Gayle confides in Linda that she needs a sign to know if she and her new beau are meant to be. Everything starts to go awry as soon as Gayle’s date arrives, and to Louise’s horror it’s none other than Mr. Frond. First she tries to bring up what she sees as Mr. Frond’s negative qualities, but Gayle sees them as positives. Fearing she will end up with Frond as her uncle, Louise then recruits Gene and Tina to a sing a fake Spanish ballad about the dangers of love which she translates. While retrieving her grabber from his satchel, Louise discovers that Mr. Frond has knit Gayle a doll. Aware that her aunt will take this as one of her signs that she and Mr. Frond are meant to be together, Louise takes the doll and hides it in her nightstand. 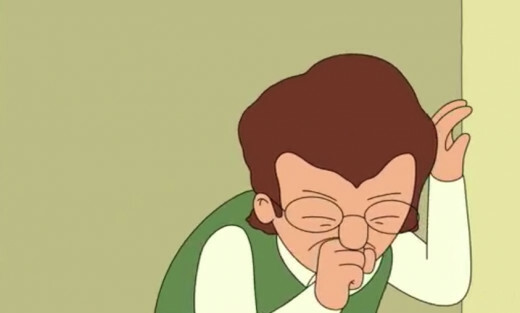 When Mr. Frond goes to give Gayle the gift and finds it missing he begins to have a panic attack and ends up in the Belcher’s bathroom, puking his guts out. Not wanting to ruin the evening with Steve, Bob suggests that they go have dinner, and let Mr. Frond come out when he’s ready. Bob is already feeling the pressure as so far things have not been going well between him and Steve. The evening only gets worse when Steve becomes ill from the sauce for the rib roast Bob has prepared, as unknown to Bob, Steve is lactose intolerant. 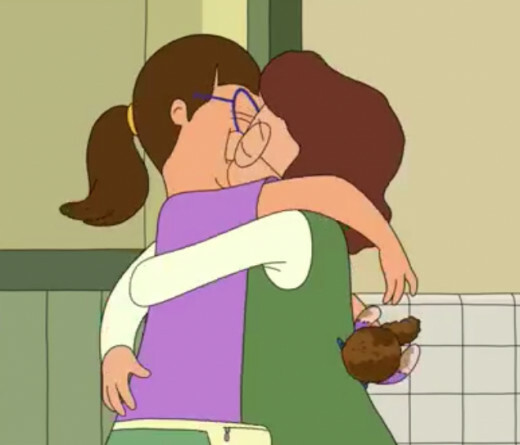 As the washroom in the Belcher’s apartment is still occupied by Mr. Frond, Bob is forced to rush downstairs with Steve to let him into the washroom in the restaurant. Linda has meanwhile discovered what Louise has done and threatens her with grounding and a mass amount of cleaning tasks if she doesn’t produce the doll. 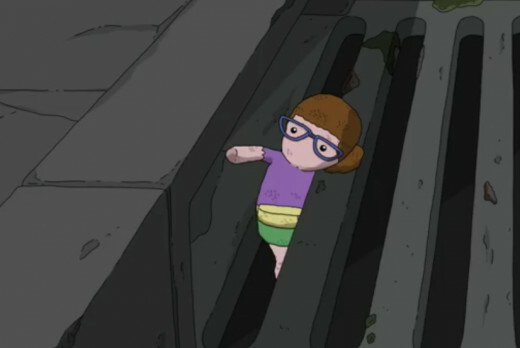 However, when Louise goes to retrieve it the doll is gone. 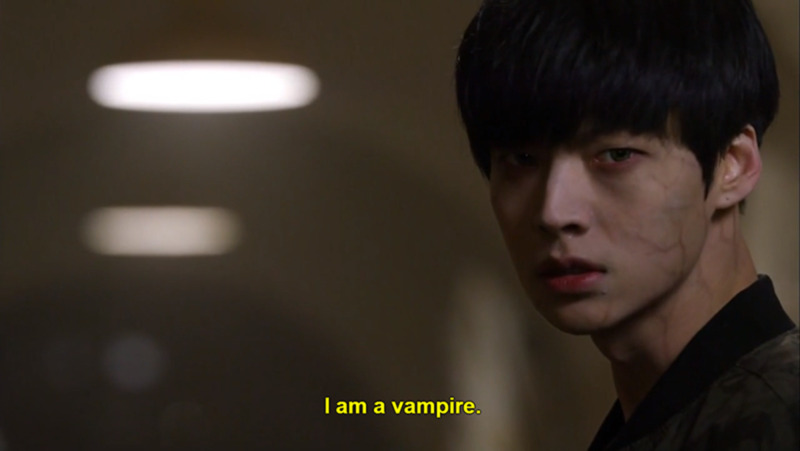 Knowing Zander is the obvious suspect the kids confront him, but he flees into the streets, where he stuffs the doll and the other items he has stolen down the storm drain. Realizing she can simply make Zander confess by offering him a kiss with Tina, Louise thinks that she is home free. After a silent stare off with her older sister, Louise admits she is being selfish and that she must make things right. She retrieves the doll and other items from the sewer and gives the doll to Gayle, who loves it. Meanwhile Teddy arrives at the restaurant and confronts Steve, who is still in the bathroom about his treatment of Bob who has worked so hard to impress him. Steve apologizes to Bob for his behaviour, and thanks to Teddy’s intervention Bob’s attempt at making a new friend is saved. The three men (including the previously jealous Teddy) then share a hug. The evening ends well for all except for Louise who has to witness her aunt making out with Mr. Frond.